Camiguin island is not really something new to me. My mom was born in Sagay, Camiguin Island. My mom's ancestors and relatives are living in Sagay. Having said that Sto. Nino cold spring is not really that foreign to me. We have been here quiet a few times already. And since in Sagay we live near the river, we know how cold the waters is. 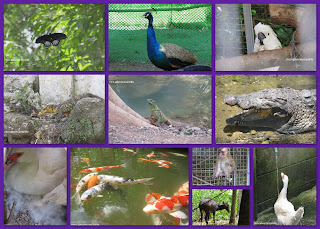 Recently, I visited the Sto. Nino cold spring in Catarman with the CFC-Singles For Christ North Eastern Mindanao Full time workers. So this is how it is today. It now has a decent bathroom and comfort rooms for the guests, open cottages , landscaped surroundings and a number of stalls outside selling pasalubong pieces and people offering meals to the tourists or visitors. The fees are very affordable for both locals and foreign tourists. The people who knew me can attest that I am very sensitive to cold temperature. My expectations were set quiet high probably that I don't find the water no longer cold. 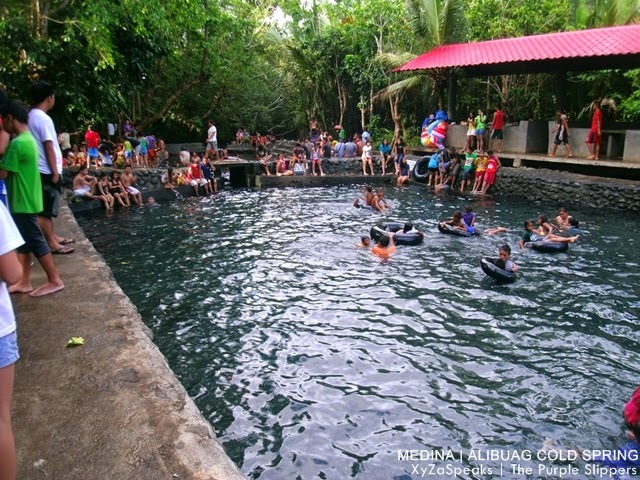 I can probably compare it with Timoga Spring pools in Iligan City or Alibuag Cold Spring in Medina, Misamis Oriental. The two are colder. So basically the water temperature is just right. Oh well, probably for someone who's been swimming the timoga springs every weekend, my body is already accustomed to it. So please excuse my level of expectations. The water from the pool comes from the ground so you won't really see a flush of water anywhere unless you are at the man made one for the kids. There are actually fresh water fishes swimming in it too. Heheh it's like having a big fish spa. In this side of the pool is around 5 ft deep and the deepest portion is at 7 feet. The black floating tubes are actually interior tires of a big wheel recycled as a floater. It's used for both leisure and in saving lives here in the Philippines. From Benoni you can simply rent a multicab (1500-1600) which can accommodate 10 to 16 passengers to tour you around the island. Or you can rent a single motorcycle that you can drive around, or hire a habal-habal (single motorcycle) to tour you around for 700 pesos for the whole trip. They can bring you to anywhere you want and you can choose to stay longer in one place and cancel out other destinations if you want to.